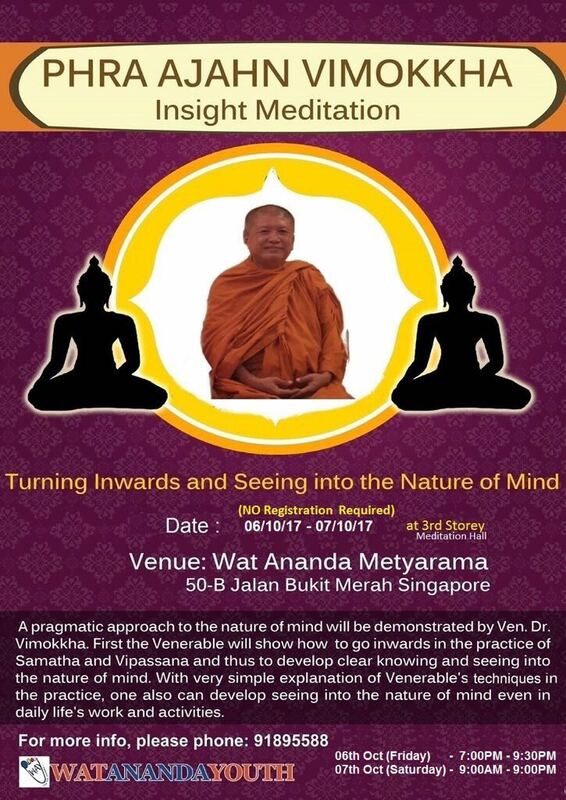 There is a upcoming meditation session with Ajahn Wimokkha in the month of October. Ajahn Wimokkha will be giving a short course that can be very useful for beginners in kicking off their meditation practice and also, further reinforce the foundations of advanced practitioners. For more info, kindly direct your queries to the number provided in the poster. This entry was posted in Uncategorized on August 23, 2017 by wayadmin.